These pyramids, named no. 24 and 25 in Carl Lepsius's survey, lies directly south of the pyramid of Khentkawes II. Lepsius XXIV is a larger structure then Khentkawes'. There is a large corridor on the north side leading to an underground pit. What makes this pyramid so interesting are the many worker's and surveyor's marks visible on the pyramid. 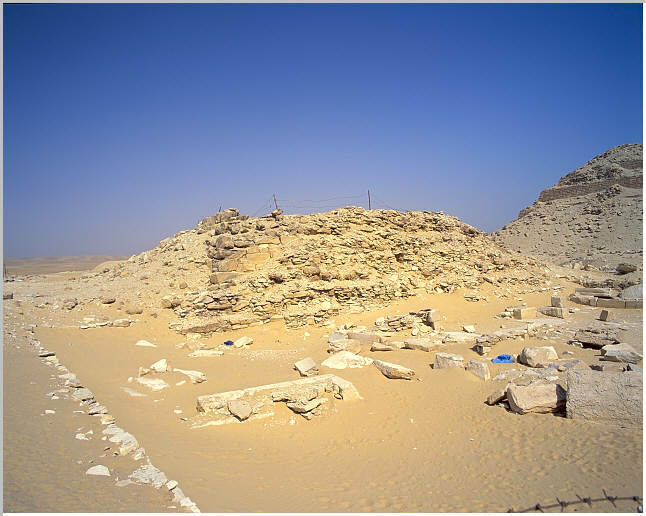 Egyptologist believe that the pyramid belongs to a Queen of Raneferef, but the evidence is conjectural. Lepsius XXIV Viewed from the southeast..